Comments: A self-seeding annual that is at home in wet soils in shady locations. Blooms throuaghout the summer with orange to orange-yellow flowers with reddish-brown spotting. 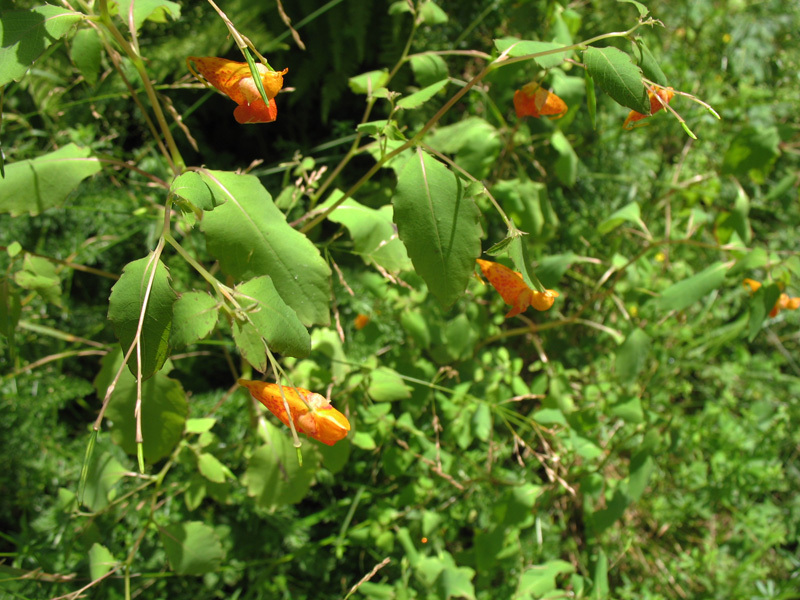 Like balsam, this touch-me-not, produces seed pods that on ripening split open when touched and flings seed in all directions.